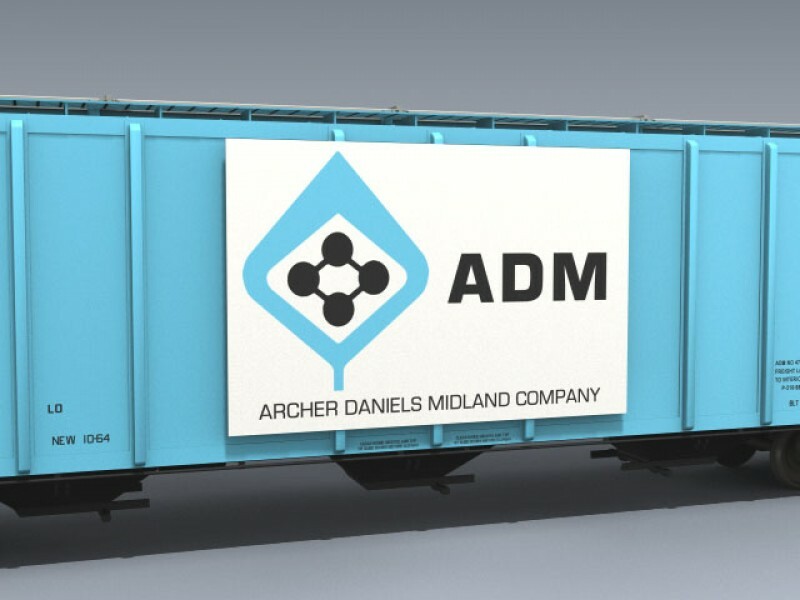 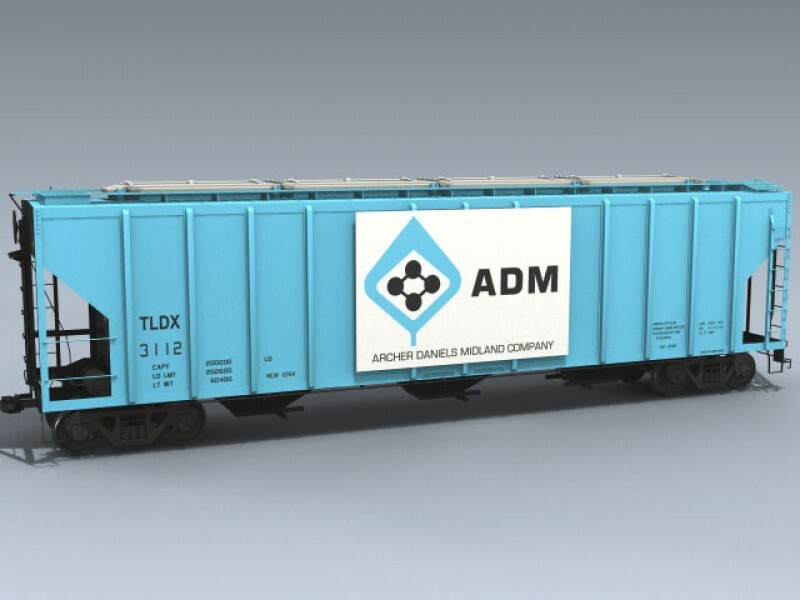 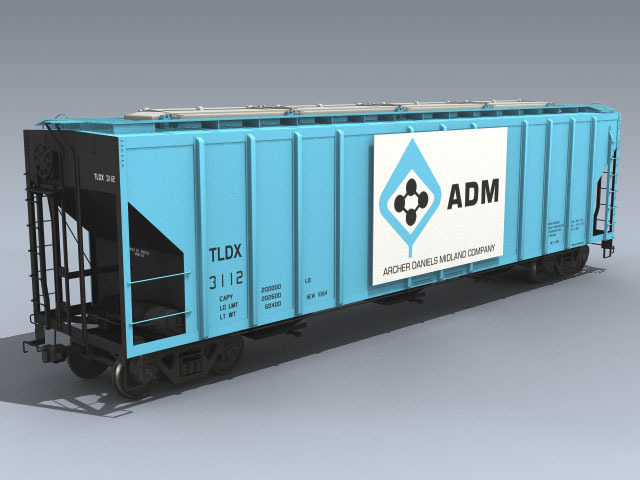 Extremely detailed Pullman 4427 low-waist covered hopper with accurate Archer Daniels Midland Company (ADM) livery. 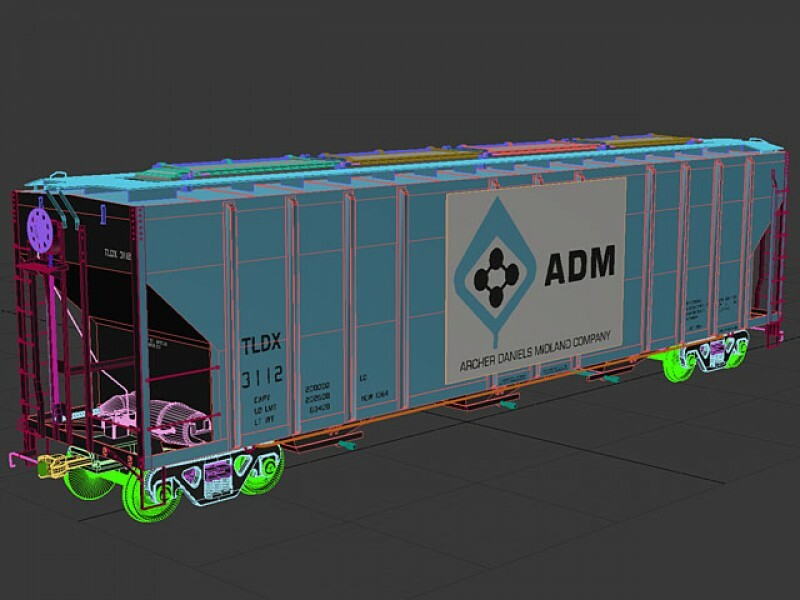 Features high resolution texture maps for extreme close up rendering. 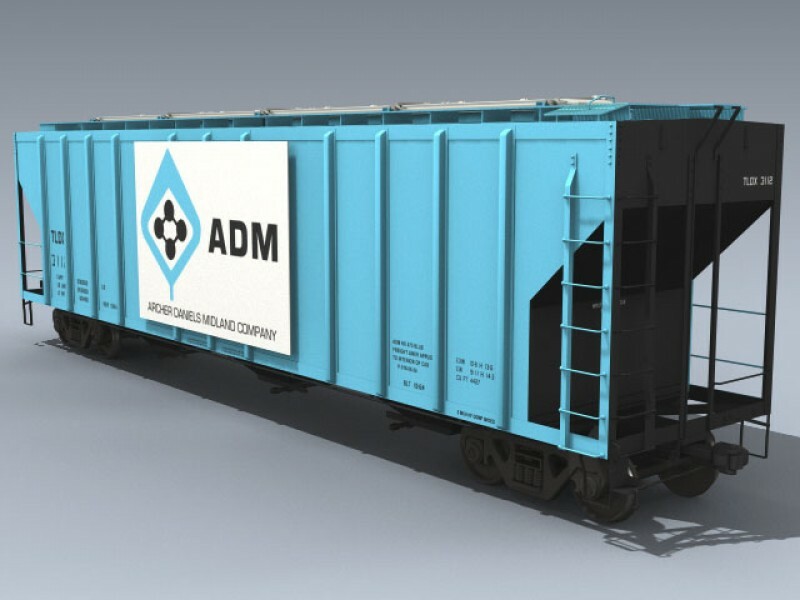 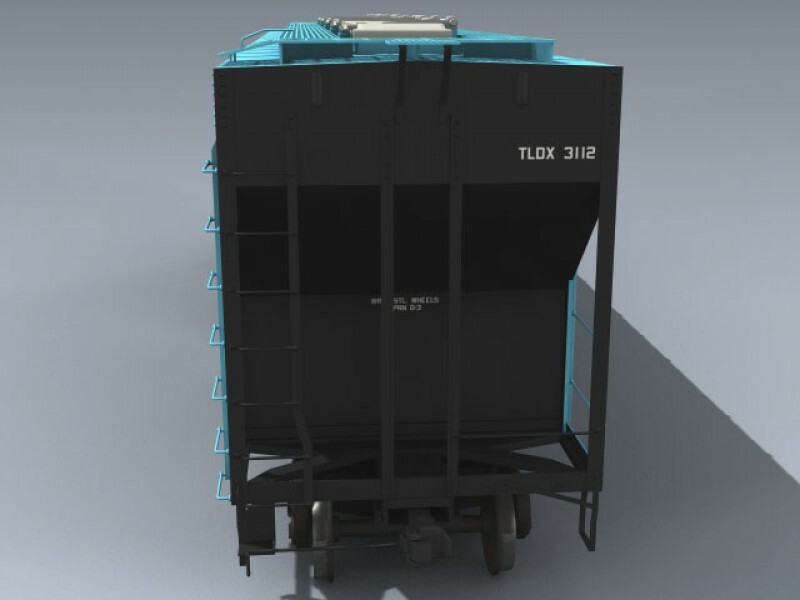 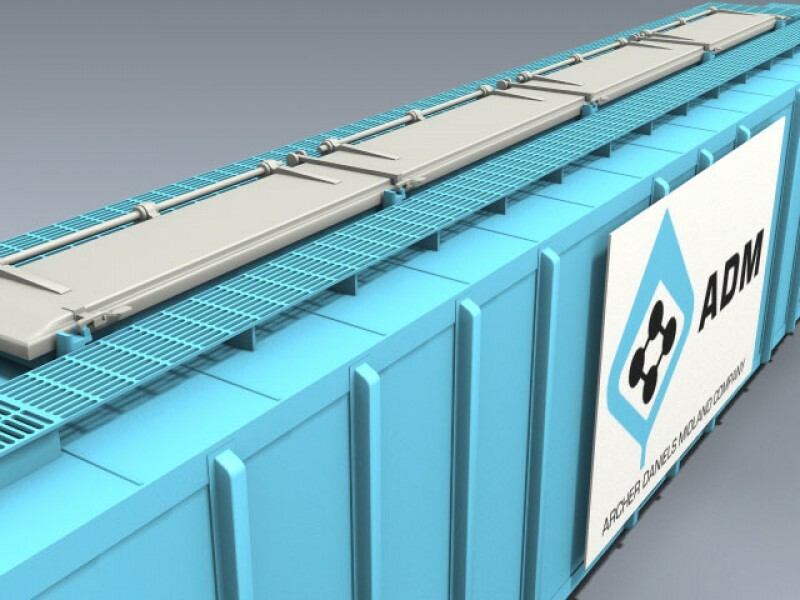 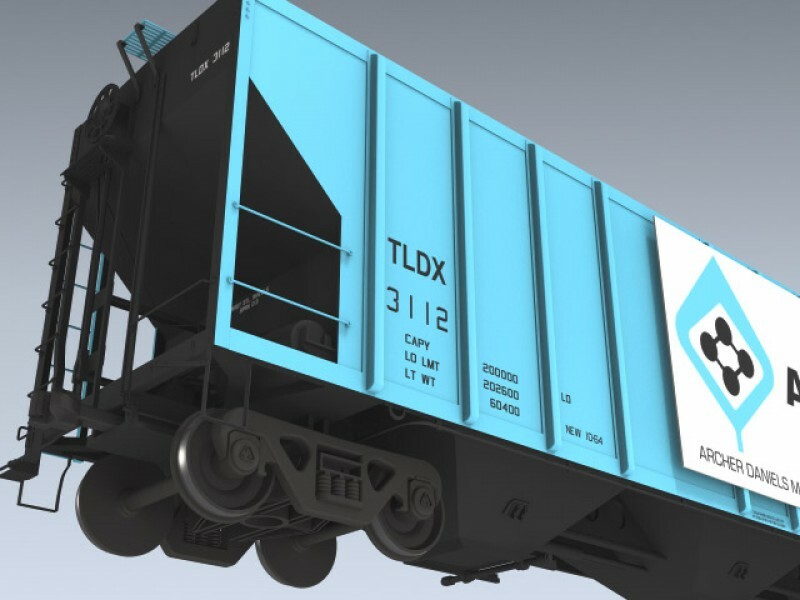 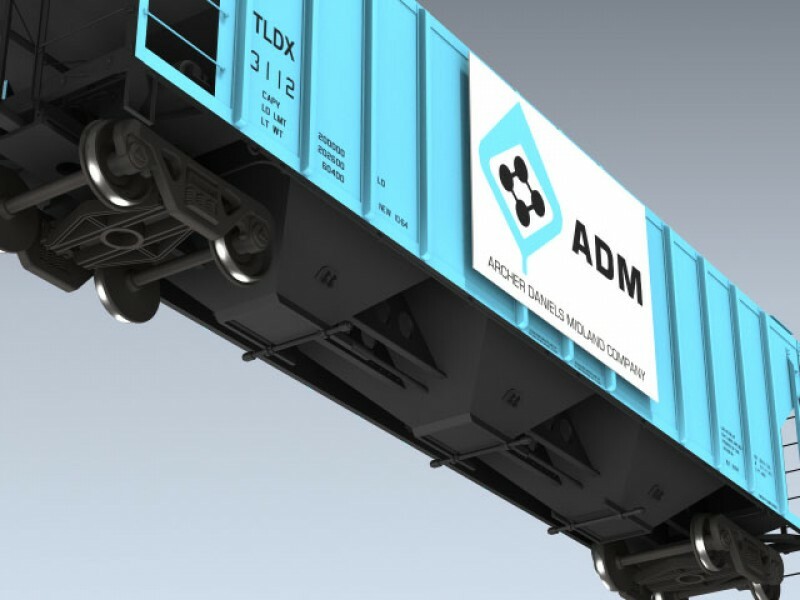 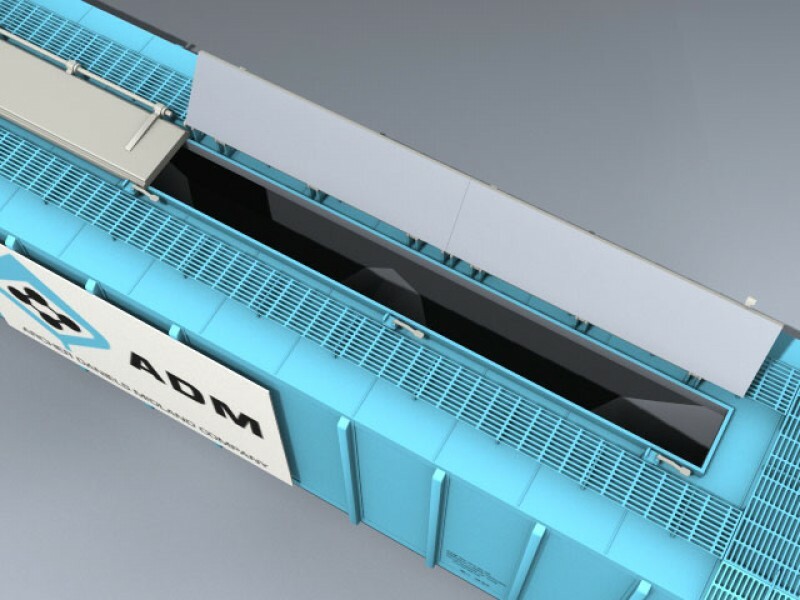 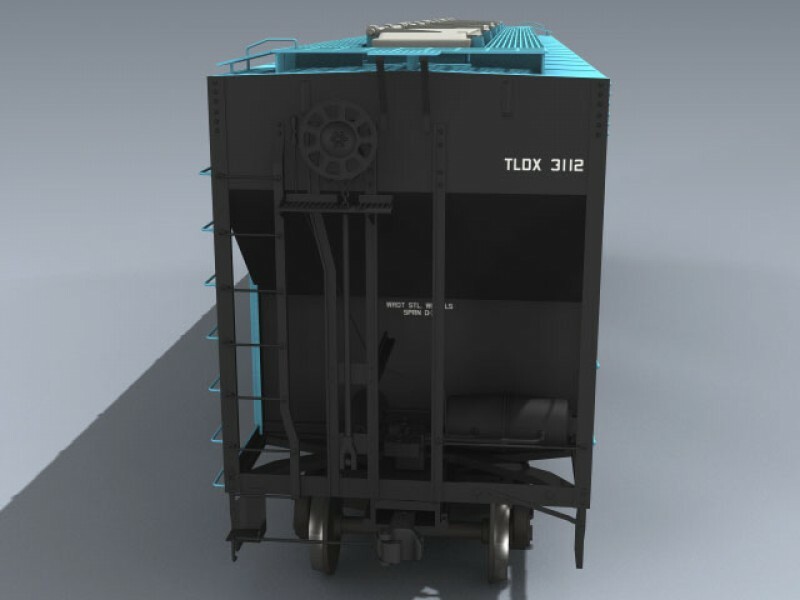 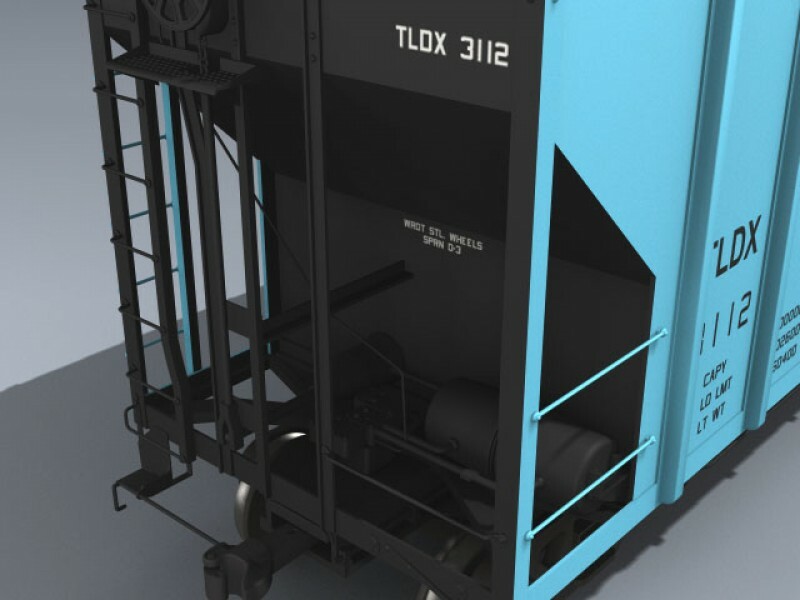 Includes separate hatch covers, locks, lower gates, couplers, bogies, wheels, and bogie assembly suspension for easy animating.